CLICK on the screen to fly! 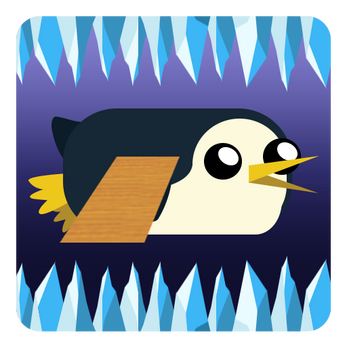 Help the penguins fly through the endless ice cave using their newly found wooden wings! Collect pebbles to upgrade and unlock new abilities, or use them in game to activate one of your penguin's powerups. Avoid fireballs, flying icicles, and ice obstacles in order to beat your highscore. - Random cave and obstacle generation means you won't fly through the same cave twice. - Collect Pebbles to unlock and upgrade abilities.